I trailed the internet for some new music for you to check out and I decided to do another demo roundup. Both of them are new discoveries for me but they both impressed me enough to warrant a review. Trenchgrinder is an American Death/Thrash outfit hailing from Brooklyn, New York. This demo is their third release, following up from a demo released in 2011 and a split together with Skullshitter from 2014. Formed from the ashes of the crossover band Atakke, they have now changed up their style to a more aggressive sound by mixing in crust and death metal elements in their extreme thrash sound. The first thing you might notice is that the production is incredibly dirty, akin to Repulsion and Repugnant. The riffing is all around punishing and the general vibe of the entire demo is a focus on all out extremity. That doesn’t hinder the band in writing some really catchy moments as well though, for example on the last track Trial By Combat, where there are a couple of really memorable moments. This twelve-minute demo certainly caught my attention and let’s hope a full-length album is on its way because I can’t wait to hear more from these guys. 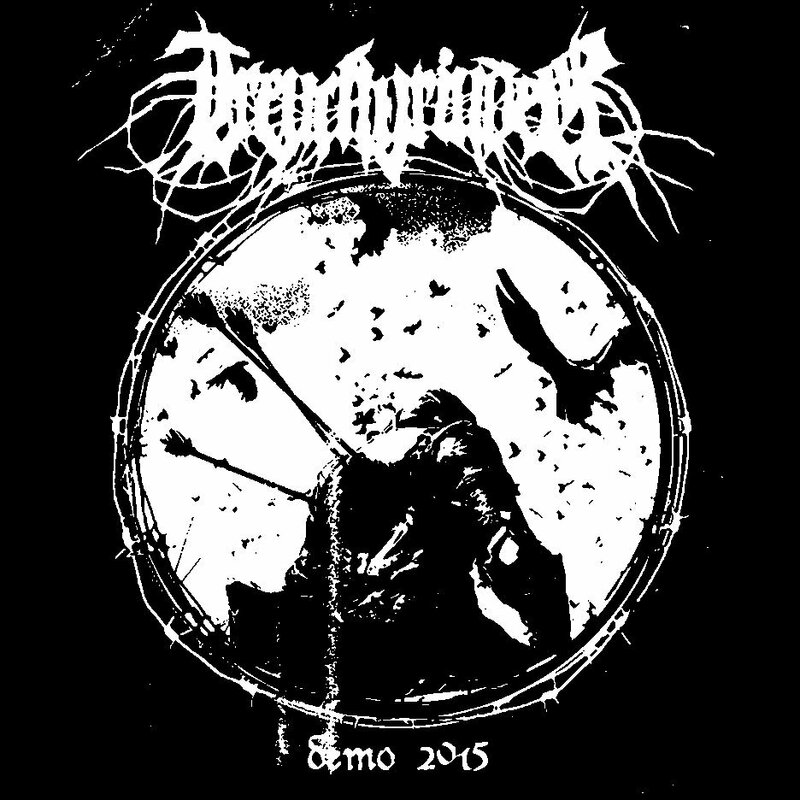 Check out the entire thing on Trenchgrinders very own bandcamp, https://trenchgrinder.bandcamp.com/album/demo-2015 and do not hesitate to spend your hard-earned dollars on this excellent demo. Next act up is a newly founded black metal/ambient outfit from Atlanta, Georgia. From the little information that floats around the internet, it seems as Witcher is a one-man project, with all instruments and vocals done by a man who goes under the pseudonym Adalwulf. The album starts off with a 2 minute ambient intro named Gathering Under a Hunter’s Moon before breaking into a mid-tempo black metal track. There are some really nice melodic moments throughout the track Channeling the Arcane, if anything it sounds like Burzum’s Filosofem at times. The vocals are your run-of-the-mill black metal vocals, a fairly typical deep shriek is mixed way back but it definitely works in the context of the music. What maybe impressed me the most about this demo is the drumming, managing to stay interesting and relevant throughout and with on point blast beats. The last track, Halls of Eternity, is a short instrumental done by guitar only. The haunting and atmospheric outro is a worthy farewell to this demo. All in all, two very well done demos this week, both well worth checking out and let’s hope both of these bands have a full-length coming up.